Eric A Wurmser is a Doctor primarily located in Red Bank, NJ. His specialties include Plastic Surgery. He speaks English. Eric A Wurmser has received 3 awards. The overall average patient rating of Eric A Wurmser is Great. Eric A Wurmser has been rated by 17 patients. From those 17 patients 2 of those left a comment along with their rating. The overall rating for Eric A Wurmser is 4.2 of 5.0 stars. Dr. Wurmser and I discussed incision lines prior to my surgery. I am a small woman and needed to have stretch marks and extra skin removed from the lower section of my abdomen(after 4 children). I was very clear on where I wanted my incision line. I now have a large W incision on my tummy which extends over the top of my pants. I am extremely unhappy with my result and do not recommend that anyone have a tummy tuck performed by Dr. Wurmser. We are sorry, it looks like we don't have insurance information. Please call Eric A Wurmser's office for more information. 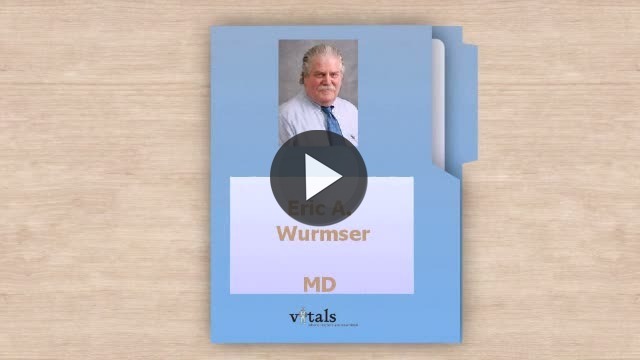 Take a minute to learn about Eric A Wurmser - Plastic Surgery in Red Bank, NJ, in this video. Eric A Wurmser is similar to the following 4 Doctors near Red Bank, NJ. Have you had a recent visit with Eric A Wurmser? Select a star to let us know how it was.